Celebrate Valentines Day by igniting the spark thru dance. Dancing together creates multiple ways for you to connect, work together in a fun activity as a team, and improve communication. Our Beginners Dance Class, Champagne and Dessert evening is designed for those that have never danced before. 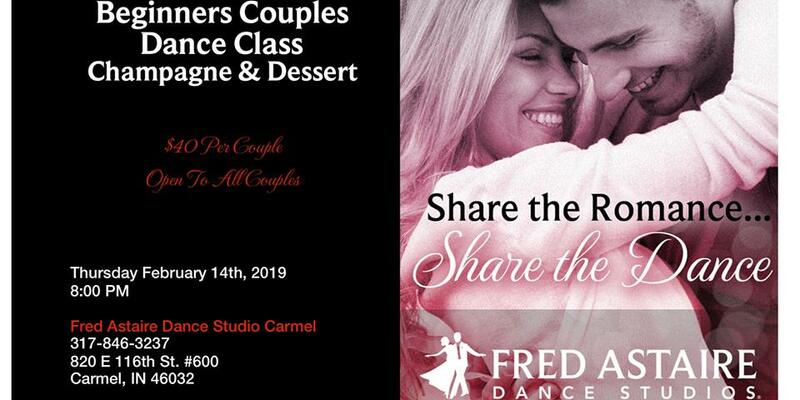 The event will start at 8:00 with Champagne and Dessert followed by a 45 minute class.